PLEASE NOTE: THIS EVENT HAS NOW FINISHED. KEEP AN EYE OUT FOR MORE CHILD FRIENDLY EVENTS AT INDOOROOPILLY SHOPPING CENTRE COMING SOON. We all love Indooroopilly Shopping Centre for its 350+ retail outlets, great range of food and drink options, leisure and entertainment facilities, and community and kids’ services. Well this Easter, they’re adding tonnes more reasons to visit — 1.8 tonnes to be precise! 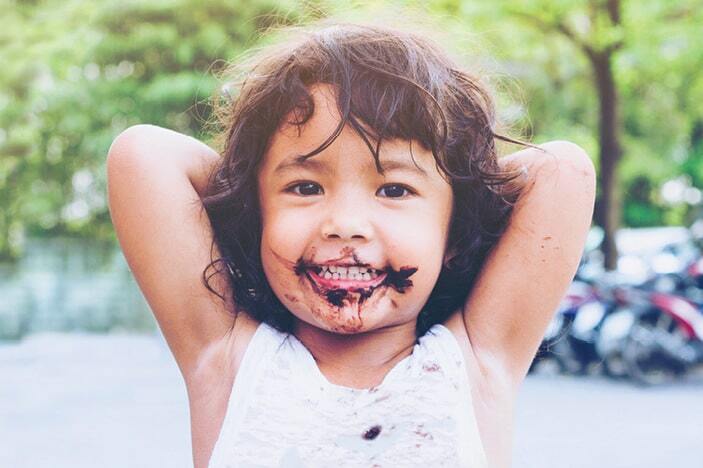 That’s right, Indooroopilly Shopping Centre is giving away 1.8 tonnes of chocolate through its awesome FREE Easter holiday events! 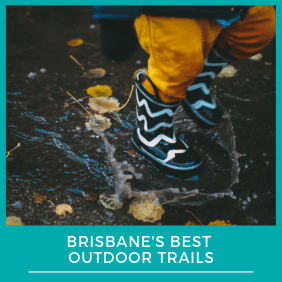 There is so much on offer to keep the kids entertained at Indooroopilly Shopping Centre these holidays. They can search for goodies in a Giant Easter Maze, or take part in a centre-wide Easter Bunny Hunt to win a special Easter surprise. They can also meet the Easter Bunny or help your family to win a $500 shopping voucher. Check out all of these amazing Indooroopilly Easter activities and more below! These Easter holidays, Indooroopilly Shopping Centre is hosting Brisbane’s biggest FREE children’s maze. Every night over the school holidays, the Easter Bunny will sneak into the shopping centre to hide a stash of children’s favourite chocolates in the fun, festive themed maze. This exciting activity gives kids the challenge of trying to weave their way through the maze and adds to the excitement with tasty treats for them to find along the way. It’s a great way to get kids up and active and having fun these school holidays. They can borrow a basket or bring along their own, and with over a tonne of chocolate set to be hidden within the maze, they’re sure to bring home a stash of goodies to share with friends and family. Booking: This event is extremely popular, so booking online to skip the queue and book a time that best suits you is highly recommended. Or if you’d rather do a walk-in, just arrive early to avoid disappointment and you’ll be allocated the next available slot. More info: Click here for more information about this event and to book your session time. Kids young and old will love to take part in this interactive game of finding the Easter Bunny. Armed with their Easter Bunny Hunt passport, they can try out their navigation skills by reading the map in order to locate Easter bunnies set up all around the shopping centre. 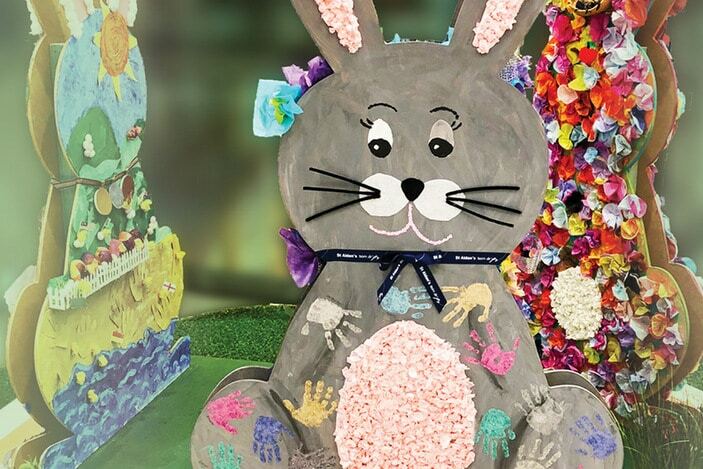 Each of the 21 giant bunnies on display has been lovingly decorated by a local kindy or school, including Indooroopilly and Toowong State Schools. Kids will love seeing each school’s unique design and artful creativity. Once kids have found all 21 bunnies on the hunt, they can receive their special Easter surprise, all for free. More info: Click here for more information about this event. Head along to Indooroopilly Shopping Centre during the Easter holidays and your little ones will get the chance to have a very special one-on-one encounter with the Easter Bunny! The Easter Bunny will be available to meet kids in the centre from 10am to 4pm every weekend in the school holidays. Families will also have the chance to win a wonderful $500 voucher for a shopping spree at Indooroopilly Shopping Centre. All you have to do is capture a photo of your family as you take part in any of the centre’s free Easter activities. Simply share your photo with the hashtag #INDROEASTER during the promotional period and you could be the lucky winner! As well as all of the free activities being held over Easter, Brisbane families will be able to take advantage of Indooroopilly Shopping Centre’s wide variety of services on offer. You can shop for Easter presents, stock up on groceries for the Easter long weekend at the centre’s new fresh food precinct, or enjoy a lovely family meal out together. You can even make the most of the centre’s FREE childcare service, which is available every Thursday! 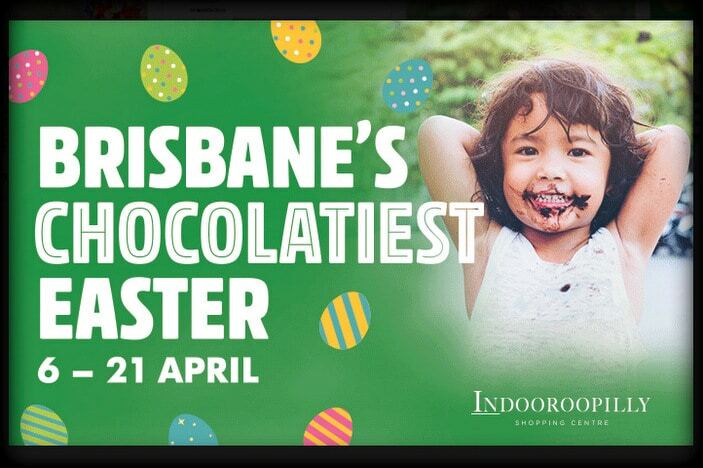 For more information about Brisbane’s chocolatiest Easter activities on offer, visit the Indooroopilly Shopping Centre website at indooroopillyshopping.com.au/events. 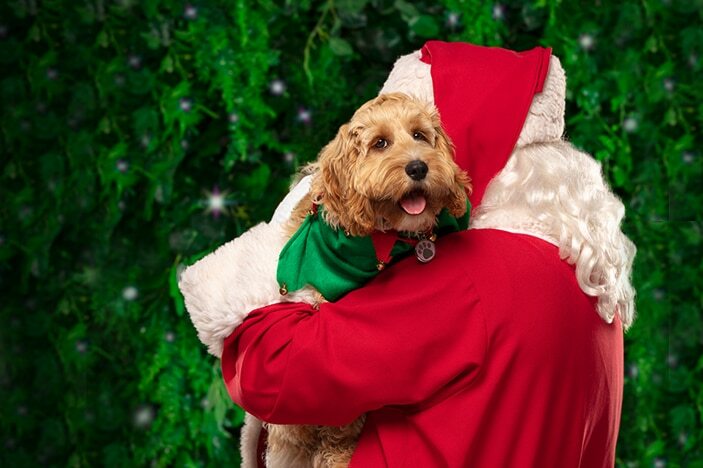 Santa Claus is coming to Indooroopilly Shopping Centre! 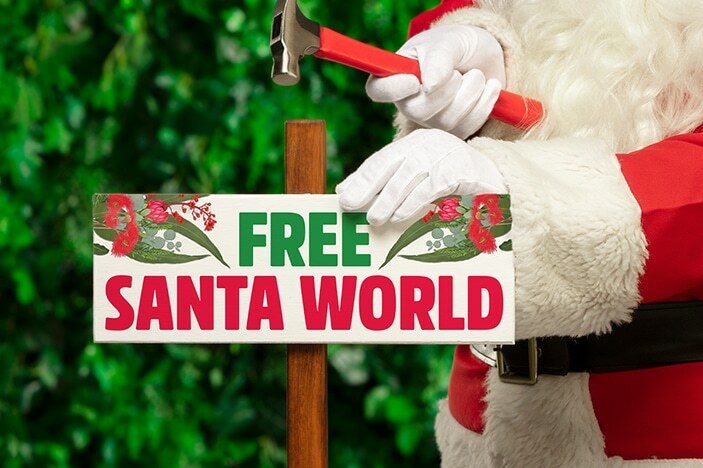 Brisbane's first Santa World is at Indooroopilly Shopping Centre!